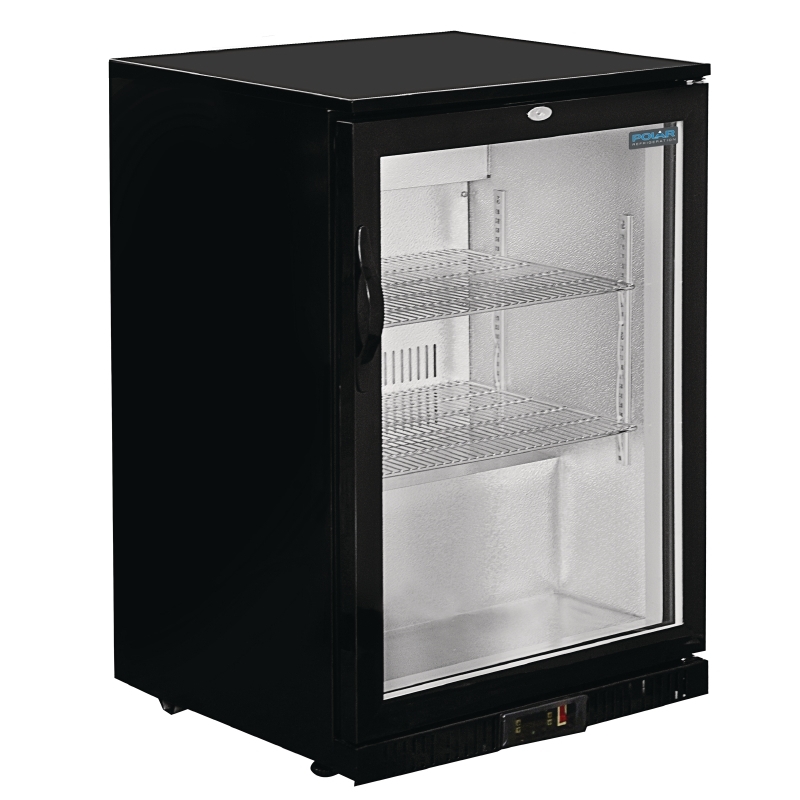 This modern Back Bar Cooler in Black stainless steel finish will look good in any bar or cafe. 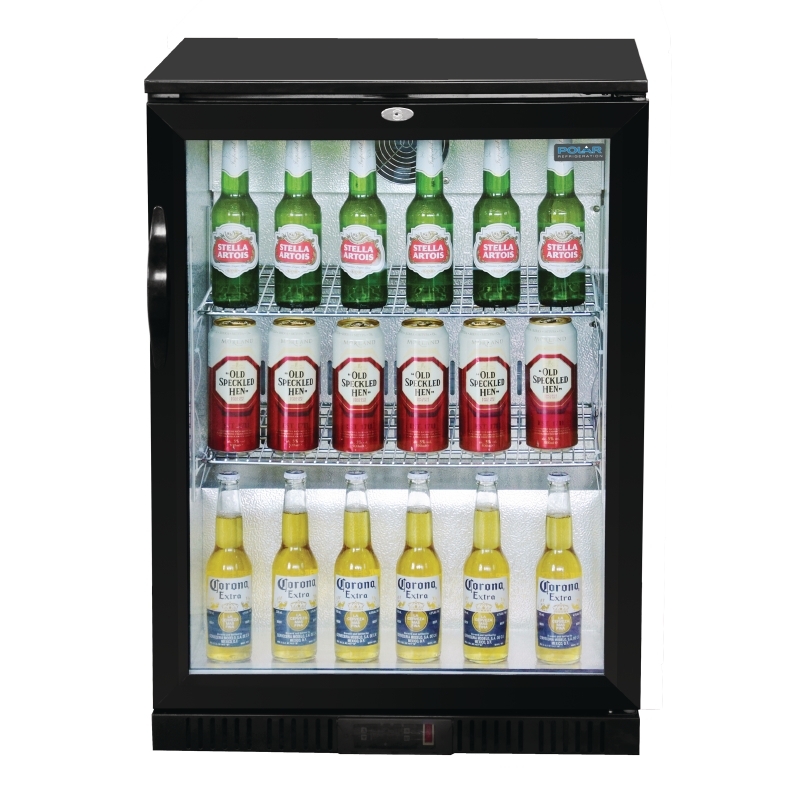 Fill with bottles and show off with LED Lighting to give a great display feature. 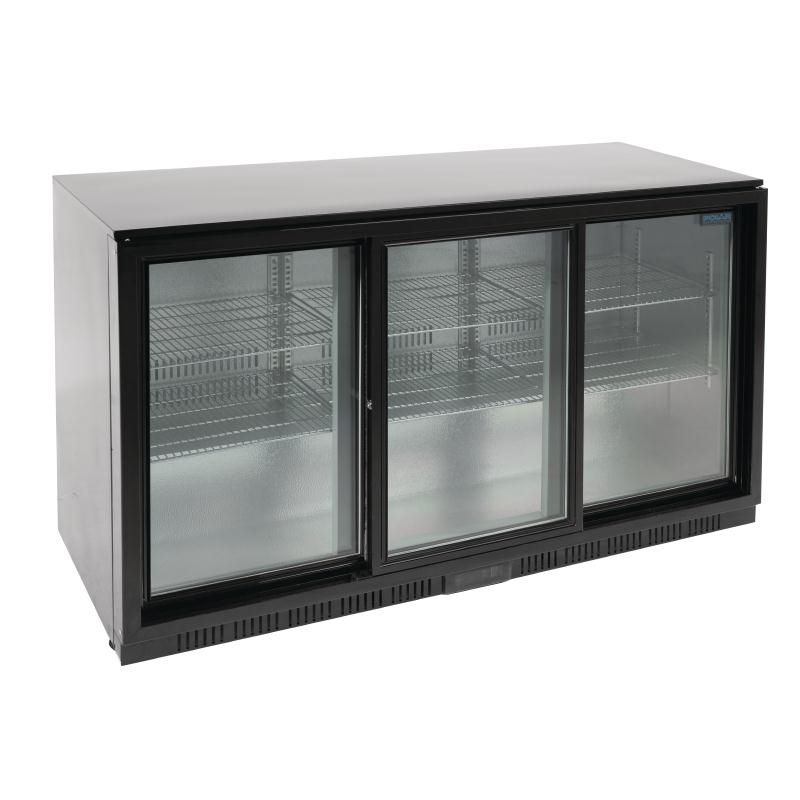 A large, clear door will features alongside an integral temperature controller and auto defrost for prcaticality. 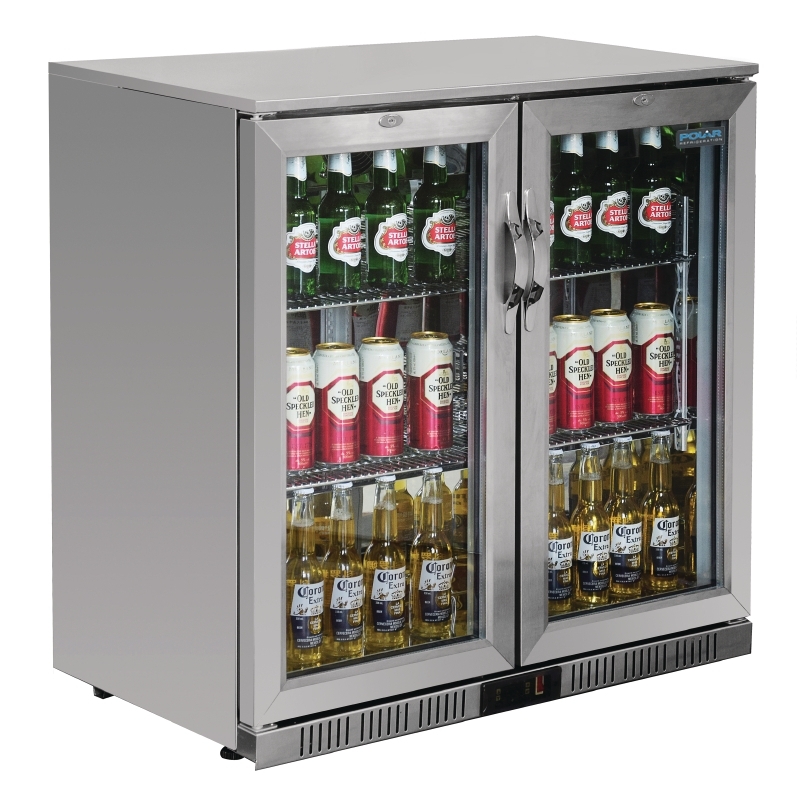 The single bottle cooler is ideal for displaying beers or soft drinks. Use to show off your promos or specials at the bar where people buy. The Led interior lighting will make sure stock is displayed at it’s best and could improve sales.